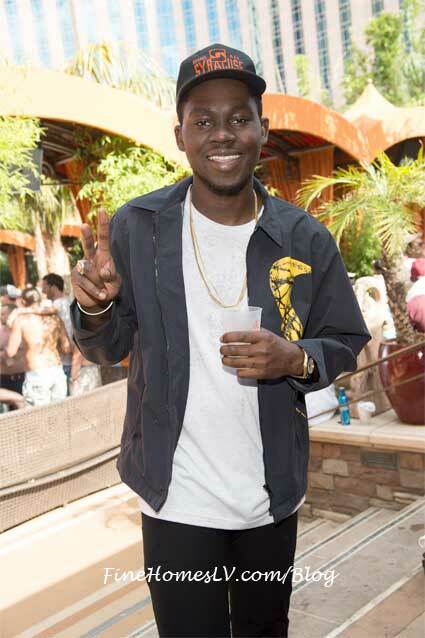 TAO Beach Las Vegas celebrated its highly anticipated season opening with a star-studded daytime event with the sounds of DJ Eric D-Lux Saturday, May 4, 2013. Stars including Mario Lopez, Holly Madison, Ashlee Simpson, Odette Annable, Trinidad James, Busta Rhymes, Ray Rice and more came out to celebrate the summer pool party kick-off. TAO Beach Las Vegas exotic pool party at The Venetian will celebrate the 2013 season grand opening celebration on May 4. TAO Beach transports visitors to an exotic Balinese escape. Exclusive cabanas, day beds for lounging and lush horticulture, including forty foot tall bamboo trees highlight the day to night venue, while world renowned talent spins at the center stage DJ booth.